Crime Stoppers of Eddy County is requesting the public’s assistance in solving a drive-by shooting incident that occurred in late November. 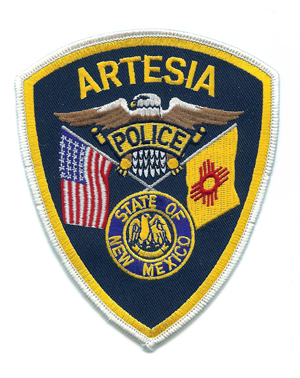 Around 1 a.m. Nov. 30, an Artesia Police Department unit on patrol in the area of Ward Avenue and Hermosa Drive saw a silver sedan pass by and immediately heard three gunshots. The officer attempted to stop the vehicle but was eluded, with the sedan last seen travelling west on Runyan Avenue from Heath Street. Moments later, numerous gunshots were heard by police and several residents in the area of West Clayton Avenue. Officers arrived on scene to find a parked vehicle at 2101 W. Clayton Ave. had been struck by numerous bullets. The occupied home was also shot several times. A four-door sedan was seen driving without headlights on Clayton at the time the shots were heard. Anyone with potential information as to the perpetrator(s) of this crime is urged to contact Crime Stoppers at 575-887-1888 (toll-free, 1-844-786-7227); eddycountycrimestoppers.com; or via the mobile app P3 Tips (an award has been issued for the tip ending in 68).